Huddersfield are planning to announce David Wagner's replacement after Sunday's Sky Live clash with Manchester City, Sky Sports News has been told. The club's owner Dean Hoyle is understood to have acted quickly to find a replacement for the German, who left the club on Monday "by mutual consent". It is understood Wagner told his players after Saturday's goalless draw at Cardiff that he planned to resign as the club's manager. In the build-up to the match - during which saw referee Lee Mason controversially overturn a decision to award Huddersfield a penalty - Wagner had described the clash with Cardiff as "a must-win game". 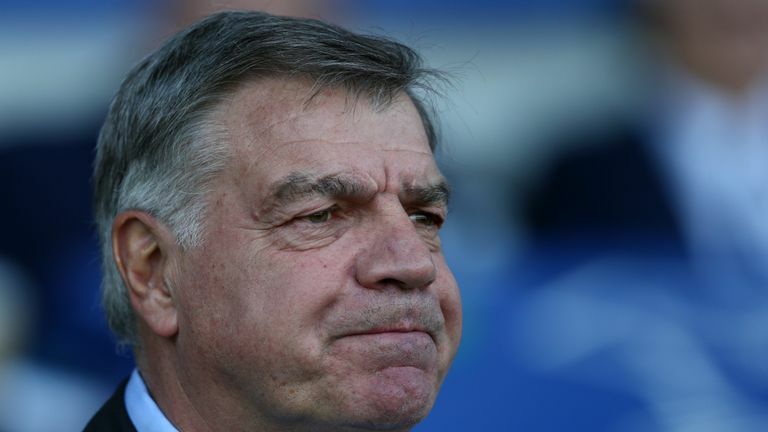 Former Huddersfield player Sam Allardyce has ruled himself out of the running to take over from Wagner, saying he did not think he could save the club from relegation. Jan Siewert, Borussia Dortmund's U23s coach, is not under consideration, Sky Sports News understands, despite most bookmakers having him as second favourite behind Allardyce. Wagner was Dortmund's U21s coach when Huddersfield appointed him in November 2015, and led them to the Premier League less than 18 months later. Sky Sports understands Huddersfield are unlikely to appoint Sam Allardyce or David Moyes as manager after David Wagner's departure. He guided them to a 16th-place finish in their first season in the Premier League, but Huddersfield are without a win in nine games and are bottom of the table after notching just 11 points so far this term. Former Huddersfield captain Mark Hudson, who served as U23s coach under Wagner, will take charge of the team for Sunday's visit of the Premier League champions, which is live on Sky Sports.